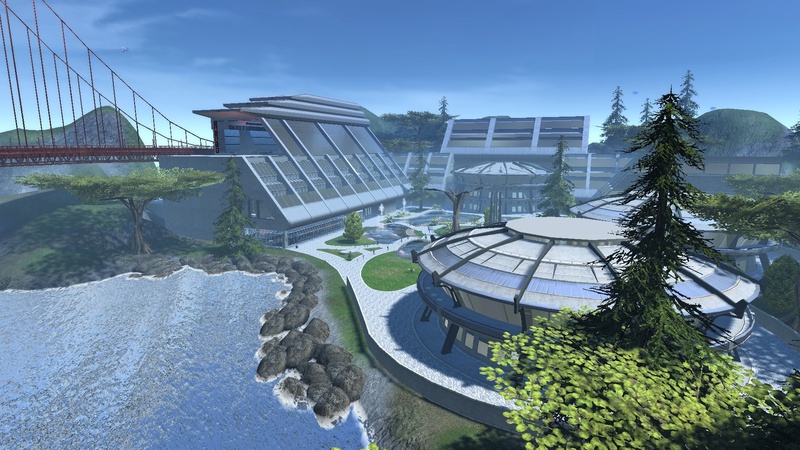 A standard setting of the STO server is to automatically rotated log files every hour. Which means that you have to select the rotated combatlog manually. 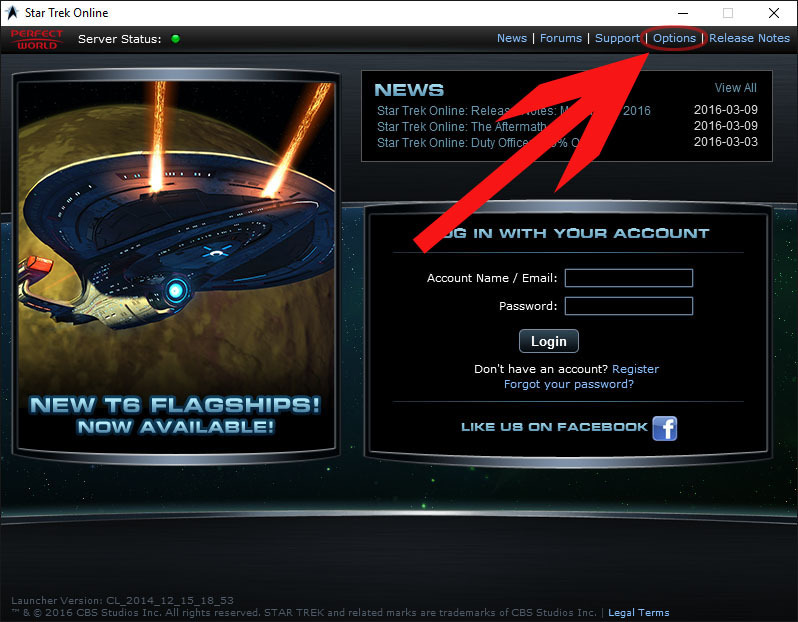 You find your Combatlog in the “Cryptic Studios\Star Trek Online\Live\logs\GameClient” folder. A rotated combatlog is looking like this combatlog_date_time.log (e.g. “Combatlog_2016-02-25_18-00-00.Log”) and you have to select the latest one. But there is a way to disable the log rotation in your client settings. 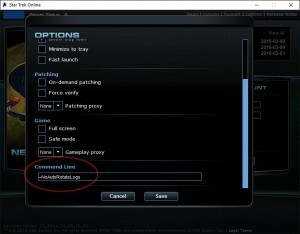 Open your STO launcher options. Write “-NoAutoRotateLogs” (without quotation marks) into the command line and save your changes. After this setting is changed your logfiles are not rotating anymore. Your combatlog will now be called Combatlog.log . In this guide we will give you a complete overview about recommend traits for space PvE and ground PvE. You may have already seen some suggestions in our PvE-DPS-Basics. 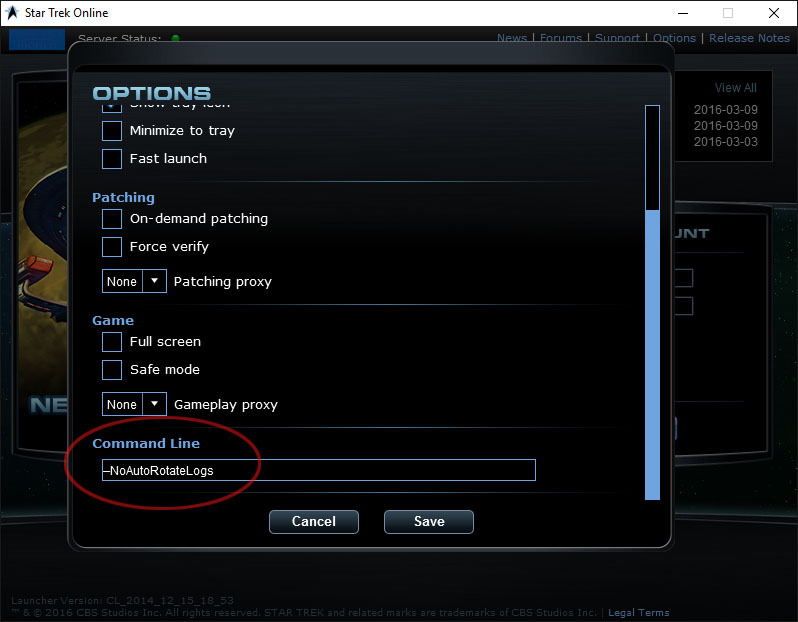 This guide should just describe the basics in Star Trek Online’s Space-PvE. It’s written for beginners and everyone else, who wants to learn more about the game. As you can see all three careers have the same skilltree. Not all points are spend into those skilltrees, so you have room for your own creativity. If you want to take a torpedo with you, spend some points in projectile weapons. You are using some abilities, which do exotic damage? Then you should put some points into particle generators. If you want to know, what every skill does, you can take a look into this spreadsheet. Furthermore there is a Diminishing return in the resistances. That video podcasts explains it. ISA is one of the easiest and fastest of all Borg-STFs. But that mission is used for DPS-comparison, so it’s recommended to know the tactics. This Guide was written for a ship with B:FAW and single beams! The goal of the mission is to stop the borg activity in the system. 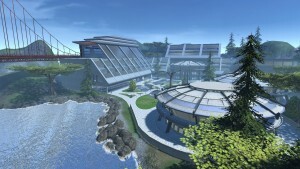 There is a Gateway in the middle with two Nanite transformers, one to the left and one to the right. Above each transformer is a cube with a sphere. In the second part of the guide we willgo and intensify working with keybinds and then rehandle dual beam bank buils. In the first part we eased up ourselves the skill activation by putting the relevant skills to a spambar. 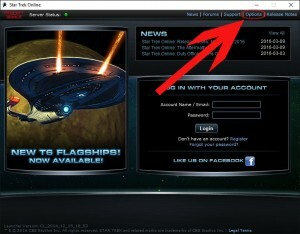 – let’s you test different consoles, sets, upgrades in theory before you spend your hard earned Dilithium, Lobis and ECs. Use the light-colored cells in row 5 and 7 and columns E, F, G to enter your current weapon, energy levels, traits, bridgeofficers, consoles and set bonusses. Most cells have a drop down list or a short description. Compare the values in row 106 (Total Damage) with your actual numbers in space (i.e. ESD). This first part of the guide is a manual for absolute DPS-newbies, a few parts of the keybinds are not optimal for real high-dpsing however they will ease up adapting to all the changes regarding your built massively! In the second part you will be told how to improve and optimize the keybind your own, such as be shown another weapon configuration. The only exception of that is the Kinetic Cutting Beam in combination with the Assimilated Module (Omega reputation).